Snapfish: 50 FREE 4×6 Prints, FREE 8×10, FREE Collage Poster + FREE Shipping! Snapfish once again is offering FREE shipping today ONLY! All you need to do is use coupon code DADSAVINGS at checkout. If you sign up for a new Snapfish account through this link, you’ll get 50 FREE 4×6 prints, 1 FREE 8×10, and 1 FREE 11×14 Collage Poster! That means that everything will be FREE, including shipping, so you won’t have to spend a dime out of pocket! Go through this link and click on the yellow “Get Started” button. 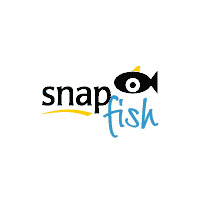 Create a new Snapfish account by filling in your name, email address and password. Start uploading pictures for your 50 FREE 4×6 prints. Click on the “Your Account” tab at the top right corner of the screen. You’ll see your Snapfish Credits and Offers in the top right box. Click to redeem your FREE 8×10 (and choose the photo you want, then add it to your cart). Go back to your credits and click to redeem your FREE 11×14 Collage Poster. Once you’re finished, add the Collage poster to your cart and start the checkout process. Enter the coupon code DADSAVINGS, which will get you FREE shipping. Your final cost for all the above will be FREE with FREE shipping! Snapfish could cancel this offer at anytime. However, I think it’s worth a shot, especially because no money out of pocket is involved!